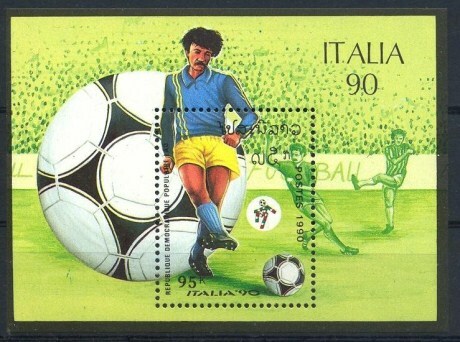 World Cup Football Championship, Italy 1990 Lao MS. Issued on 10 January 1990 (second issue). Printed by The National Printing Works, Havana, Cuba.